Twisty Rolling Filament Spool Holder #3DPrinting #3DThursday « Adafruit Industries – Makers, hackers, artists, designers and engineers! josh carter shared this project on Thingiverse! 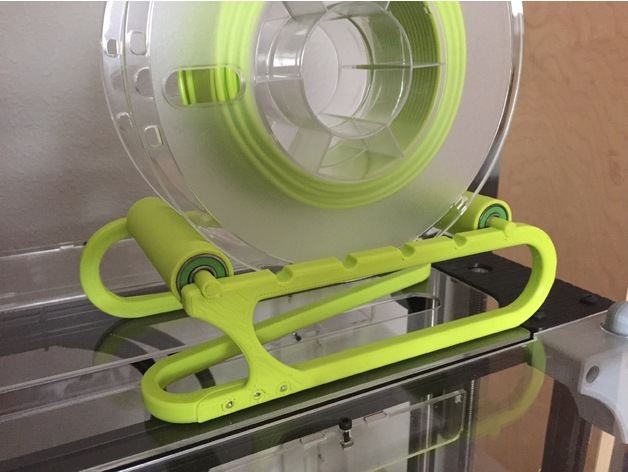 This is a rolling filament spool holder. It fits 1kg spools with its rollers in the outer positions, and small spools on its inner positions.